Spring flowers are one of the most glorious parts of the season, if you ask me. Especially after a long, dreary winter their colors and vibrancy just make a person smile. 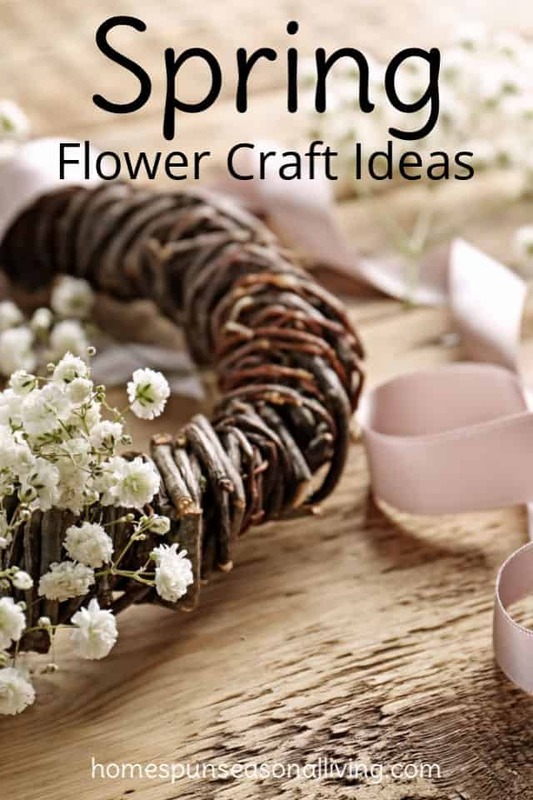 In effort, to embrace them more fully, try bringing them inside with these flower craft ideas. I’ve seen all the lovely arrangements in magazines, in my Instagram feed, and on Pinterest. They’re gorgeous and I’m in awe of the talent and eye for arranging. I do not have that eye. I wish I did and try as I might, I can’t quite make something worthy of the glossy pages of a magazine. Still, I can cut some flowers and put them into a canning jar. I can call that creative and let it be more than good enough. That vase brings nature inside the house which accomplishes the goal. It’s a simple craft that allows us to be creative even when time might be short. 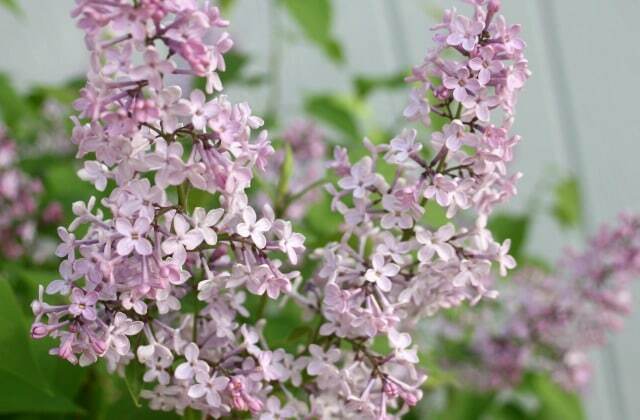 Finally, it can fill the house with a fresh floral scent, depending on the flowers chosen. Those of you with a better eye for design should absolutely indulge in those creative flower skills. Don’t skip out on this simple, yet rewarding flower craft. There is something really delightful about fresh wreaths to welcome visitors. Forage for greens flowers, vines, and more for a lovely wreath. 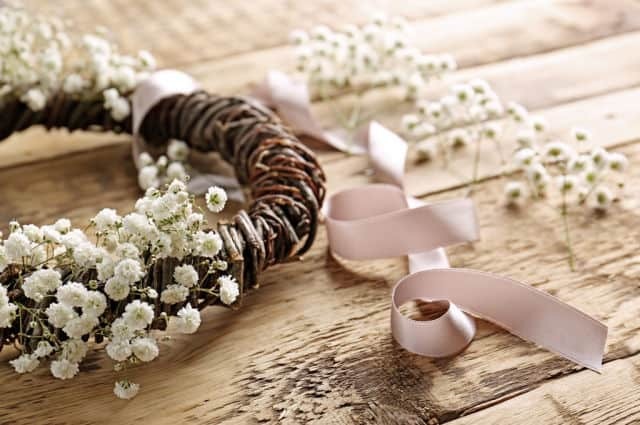 Leave the wreath up all season and let those foraged beauties dry on the wreath so that it changes and yet remains natural and gorgeous for weeks to come. This seems to be a bit old-fashioned and yet is one of the easiest ways to preserve spring flowers. It’s as simple as putting flowers between pieces of parchment paper and weighting them down with books until they’re dry and flat. 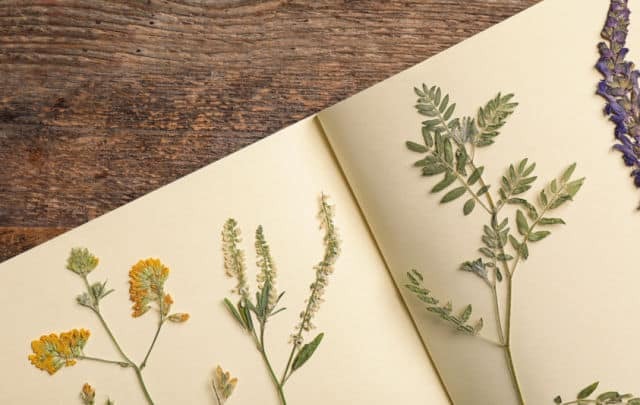 If doing a lot of flower pressing is in your future, consider making a flower press from simple materials for ease and production. Once the pressing is complete, this no end to the flower craft ideas for them. Glue them to gift tags. Make bookmarks. Create sun catchers. Include them in the pages of your seasonal journal. Tuck pressed flowers into notes and cards to loved ones. Truly, the uses for pressed flowers are as limitless as imagination. Use the leaves of those flowers (and trees for that matter) for some fun printing on fabric. 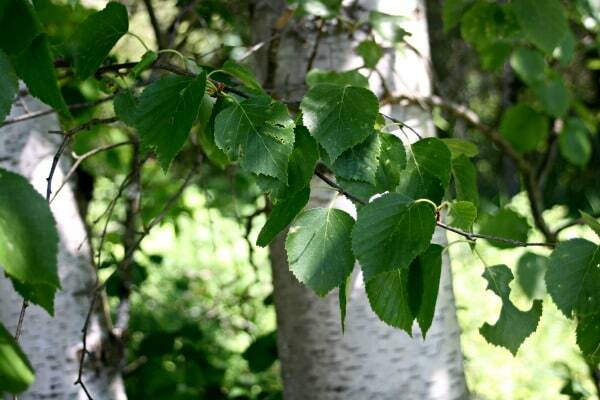 Use a hammer to pound the leaves into your fabric for delightful natural designs. One could do this on a scarf for a lovely gift. Hammer the leaves onto plain tote bags for something different. Pound the designs into blank fabric that can then be turned into quilts, pajamas, anything you like to sew. Using fabric not your thing? Hammer beautiful flowers into watercolor paper and use it for letter writing, invitations, and more. Again, Eco-Printing is using the natural plants & flowers to imprint designs into fabric. It is definitely more involved than hammering technique explained above but also provides a much different result. Most often eco-printing seems to be done on silk but can also be on cotton. Plants are the original dyes, of course. Dye fabric and yarn naturally with the plants and flowers growing near you. Don’t forget to dye clothes you already have to give your wardrobe a little freshening up. Toss those spring flower petals into various body products for their rejuvenating and healing qualities. 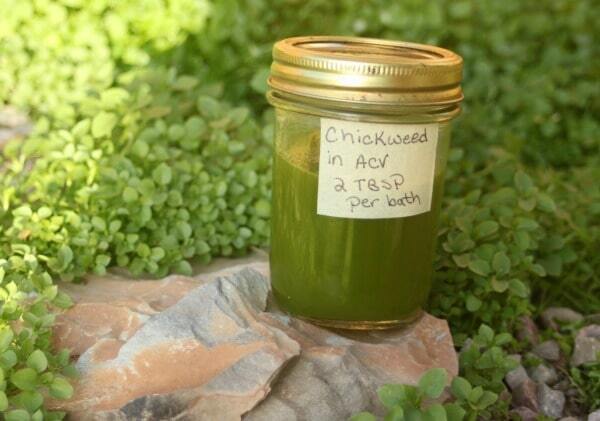 Use rchickweed for a bath vinegar to soothe itchy skin. Infuse dandelions (and other flowers) in oil to use for balms, salves, and more. Include dried flower petals or herbs in bath salts. Forsythia makes a great addition to homemade soap. So meals in and of themselves might not be a floral craft, however; there are ways to get creative with edible flowers in the kitchen. 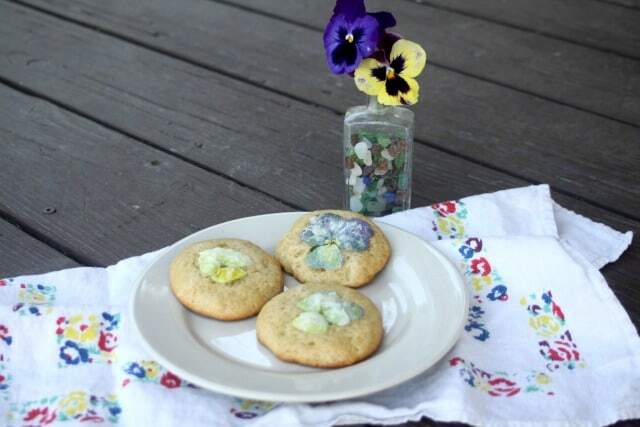 Use those pansies and violets to decorate simple cookies. Candy herbs and flower petals for simple but beautiful touches to many dessert trays.